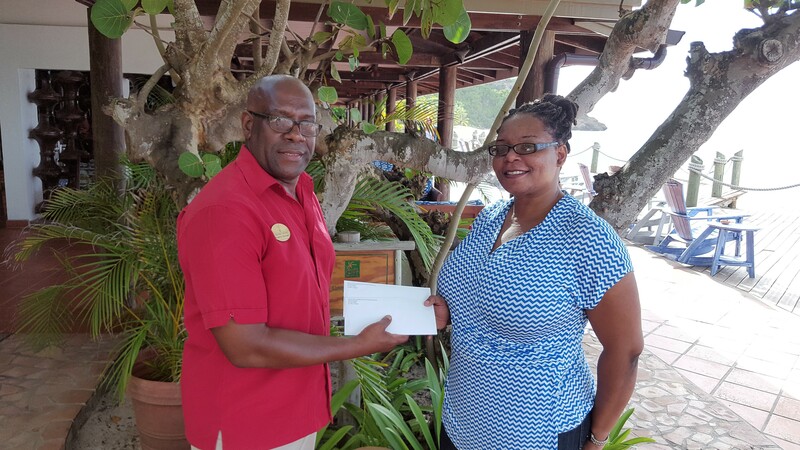 Social Worker of the MSJMC Miss Koren Norton accepted donations on behalf of two cancer patients from the Wishing Well Inc. Foundation at the Galley Bay Resort & Spa. “Wishing Well Inc. indicated its willingness to assist some of the patients who for various reasons may not have the financial means to pay for the medical tests they need to undergo on a regular basis. In addition to tests, many of the cancer patients need special nutrition to help them to get stronger during and after treatment.